Image: Laurie Sparham/Walt Disney Studios. Disney's latest adaptation of the epic spectacle The Nutcracker comes with a brand new title — The Nutcracker and the Four Realms — and a cast of recognizable faces (Mackenzie Foy, Keira Knightley, Helen Mirren, Morgan Freeman and American Ballet Theatre's Misty Copeland). And while it's almost nothing like the classical ballet, with a plot that feels more like Alice in Wonderland despite the use of the instantly recognizable score from 19th-century composer Pyotr Tchaikovsky, it is exactly what I needed to get me in the mood for the holiday season — because it reminds me of a childhood tradition with my mom, and right now, at this moment in time, that's something worth embracing. 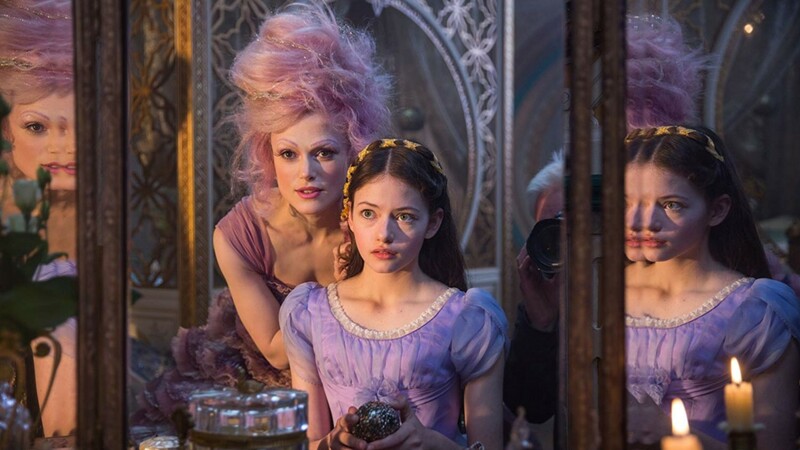 The Nutcracker and the Four Realms follows young Clara (Foy), who's gifted with a locked silver egg on the first Christmas after her mother dies. She goes to her godfather, the inventor Drosselmeyer (Freeman) and begs him to help her open it — only to receive the key from him during an annual Christmas Eve gift exchange that is set up like a treasure hunt. 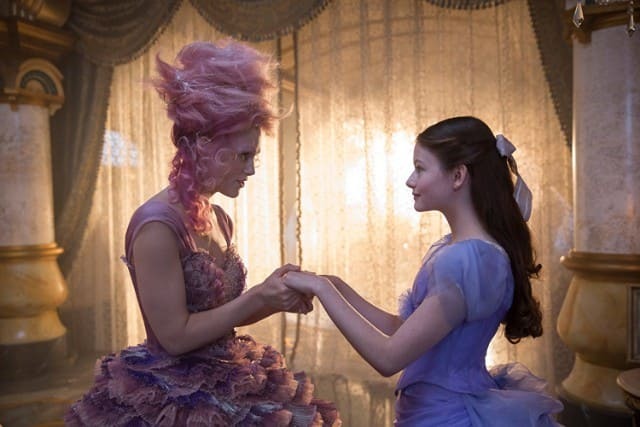 However, Clara's search for her gift (which ends up being the key to the the Four Realms) leads her out of Drosselmeyer's home and through a hollow tree into the Four Realms, where she discovers she's a princess whose mother once ruled over this magical world as queen. Now, the realms are at war, and it's up to Clara to save the day (of course). So, full disclosure: The movie wasn't entirely to my taste (and it seems critics would agree), and all things considered, it still doesn't hold a candle to the beauty and terror of the ballet in my opinion either. But — but — it was the dancing in the film, which serves as a narrative tool at several points in the story, that had me glued to the screen. Copeland's performance paired with the film's regular and repeated use of Tchaikovsky's songs from The Nutcracker ballet to bring the soundtrack together brought on a wave of nostalgia I was only somewhat prepared to deal with while watching. When I was growing up, my mom would take me to see The Nutcracker almost every Christmas. Though I quit taking ballet classes after just a few years (ballet never felt like it was for me as a tall, fat girl), I've always loved seeing ballet performed — especially live. This is perhaps one of the best things I've ever had in common with a Julia Stiles character as well as one of the major reasons I so desperately adore Save the Last Dance. But I digress. My mom was never a dancer, but she encouraged me to take dance classes because I loved it. When I was in college, we watched So You Think You Can Dance together when I was home during the summer, even going to see the show's live tour a few times. She took me to see The Nutcracker when I was a kid because I got so excited to dress up, go to the theater and get lost in the costumes and the music for a few hours every holiday season. There's nothing that screams Christmas to me more than this ballet, and during years when getting into the holiday spirit is especially hard, it helps to listen to "The Dance of the Sugar Plum Fairy" and look at photos of the Boston Ballet's dancing bear. I don't think I realized how many of my happier childhood memories are so deeply intertwined with The Nutcracker until I saw the first teaser trailer for the new film some months ago. I think my mom would dislike The Nutcracker and the Four Realms, especially because of the twist at the end — but she would probably love the mice, whose plot in the film made me feel like a little kid again too (always root for the animals. Always.) I'll have to ask my mom how she feels about it if she sees it, though; living several states apart makes it hard to go for Nutcracker dates. 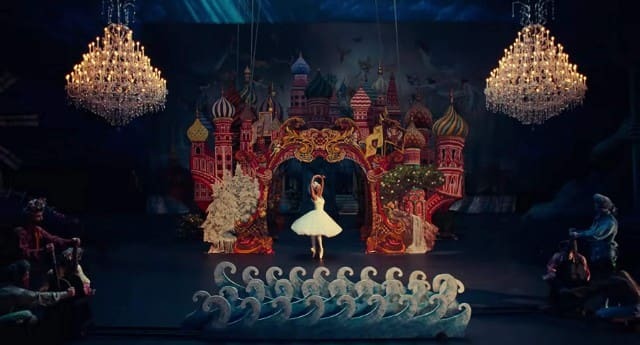 For some like me, The Nutcracker and the Four Realms may not be the best movie of the year, but for a couple of hours, as I sat with just one other audience member in the dark theater and watched it play, I felt an ache for Christmas, for winter and for the general holiday silliness I haven't felt in a while. I'm willing to cherish that because the one thing my mom always got right was indulging my passion for creativity in all its forms, including dance and especially with The Nutcracker.